Members of the modern Spanish Royal Family have always been said to be close to their people. Their agenda in recent weeks has been evidence of that. 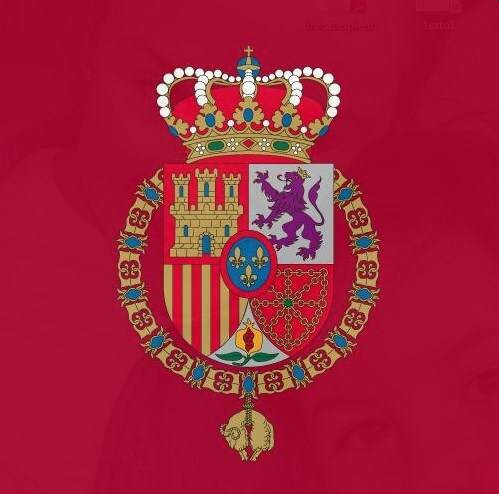 Last week King Felipe and Queen Letizia visited communities located to the south of Madrid — Villanueva de los Infantes, Tomelloso and Talavera de la Reina. Their Majesties greeted large crowds and made balcony appearances, as is the custom in large parts of Spain. The King and Queen also attended a mass at the Almudena Cathedral adjacent to the Madrid Royal Palace for the victims of the recent earthquake in Ecuador. King Juan Carlos was in Switzerland last week to support Seville in its game against Liverpool for the UEFA final. And Queen Sofia attended a concert in the community of El Escorial, site of a large royal palace and pantheon, to commemorate the 300th anniversary of Charles III’s birth. Earlier this month King Felipe, news outlets reported, made a spontaneous stop at a roadside restaurant for lunch. It seems bad weather affected his itinerary. King Felipe and King Juan Carlos both celebrated the COTEC Foundation for Spanish innovation. That both Kings attended the Madrid ceremony underlines the importance of promoting innovation and economic recovery to the Spanish government. In recent days, Queen Letizia presided over a ceremony in Albacete for the Red Cross. Queen Sofia has also been busy, including with a flag ceremony at Royal Guard headquarters near the Palace of El Pardo outside Madrid. King Felipe met briefly with Pope Francis earlier this month during an awards ceremony at Vatican City. The pontiff was receiving an award for promoting European unity. And Don Felipe got the chance to meet with several of the continent’s leaders, including German President Angela Merkel and Italian Prime Minister Mateo Renzi. King Felipe today dissolved parliament for the first time in Spanish democratic history. His Majesty formalized that political parties were unable to come up with a governing coalition. If members of the Spanish Parliament are unable to cobble together a government following elections, the Constitution calls on the King to act. King Juan Carlos and Queen Sofia were together again this week for the 70th birthday celebration of Swedish King Carl Gustaf. King Juan Carlos and Queen Sofia are known to be a distant couple, but they are sometimes together at family events or gatherings involving European royals. News outlets recently confirmed Her Majesty had a private lunch with British Queen Elizabeth II. The magazine Hola also recently featured Don Juan Carlos and Infanta Elena presiding over a bullfight in Seville. Both are among the royals most attached to Spanish traditions.